If you create a database about the total number of people active on Facebook, then more than 500 million people will be found in the database. With so much success as a social media platform, definitely, Facebook would like to spread their wings and fly towards avenues beyond social media and have a presence there. Now they are competing with Google in its primary field with Facebook Graph Search. Facebook Graph Search is a semantic Search Engine launched by Facebook. This search engine has been developed by former Google employees Lars Rasmussen and Tom Stocky. Facebook Graph Search has a huge database. It has over 1 billion people, more than 240 billion photos and a trillion connections. Of course this database can be an asset for those who want to use database to generate traffic on their websites or personal pages, provided, it has a good visibility on Facebook Graph Search. To utilize this asset with your Facebook page, your Facebook page has to be optimized Search Engine Optimization (SEO) techniques. Maximum visibility is needed. 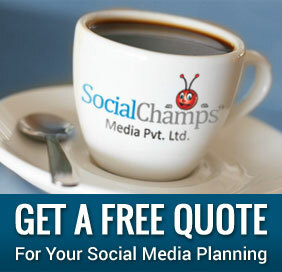 It has to emit the necessary signals for maximum visibility in Facebook Graph search. For those who are not familiar, a Facebook Search Engine returns the best possible suggestions (search results) when people search for things and relationships they care about. When you search something on Google, Yahoo or Bing, using a keyword or phrases, it returns a set of results that match those keywords. When you search on Facebook Graph Search, in search results, you will see a set of people, facebook pages, apps, groups, photos, places and other content that are stored (or shared) on Facebook. However, Graph Search will be limited to users’ content meant for public view, respecting the privacy. Whenever people search for their hobbies, interests and needs, Facebook Graph search will show your business page in the search results if it is somehow related to their queries. If you properly do the SEO of your page, it will appear in the top search results, creating more possibility of visits. Following are the SEO Tips that would ensure that your page is among the top search results. There should be a category and a short description. About section (description) should be descriptive enough and contain your top keywords. However, you should have few keywords as putting a lot of keyword might get you accused of Keyword Stuffing and get you blacklisted by search engine. A clearly filled and updated address with reference to a nearby famous land-mark will make it more visible, when someone will search for a location. This action will allow Facebook to recommend your Company Page, when people like other pages similar to yours. Along with the content shared by your business page, the number of LIKES it receives is also important. Invite your fans to interact with your page by running quiz, polls and contest etc. Do not promote any irrelevant stuff on your page. Be loyal to the theme of the page. By promoting unnecessary links, photos and stuff, you are reducing the credibility of your page. Your content should be somehow related to your business or niche. Make sure that you have set the correct parameters in the “Manage Permissions” section. Also, set your “Country Restriction” and “Age Restriction” accordingly. Decide what type of people you want as your target audience. Focus on attracting right fans and groups to your page for better interaction and affinity. This also sends a better ranking (SEO) signal. 8. Allow everyone to post, add and tag photos to your Facebook Page Timeline. Keep the Posting Ability, Post Visibility and Tagging Ability sections un-check. This can increase the affinity or proximity or closeness and thus, result in the chances of more visibility in users’ search results. Also, Set the Profanity Blocklist – none. Right now, Facebook Graph Search is in its infant stage. In near future, it will be available for all Facebook users with all the search features. 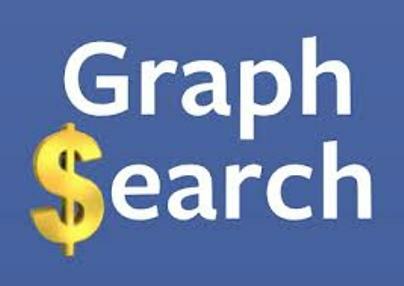 Given the fact, that Facebook has to compete with Google, one can expect that very soon Facebook Graphic Search may offer some new features as well which Google does not offer currently. If you can successfully follow these tips, your page will definitely be among top ten pages. Post your comments and tell us whether these tips were helpful to you.